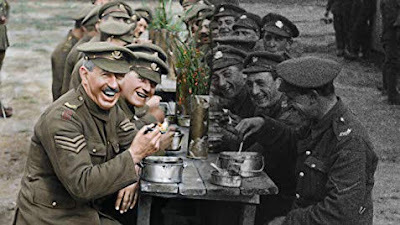 Fathom Events has partnered with Warner Bros. Pictures to bring Academy Award winner Peter Jackson’s poignant WWI documentary “They Shall Not Grow Old” to movie theaters across the U.S. on Monday, December 17, with an encore presentation on Thursday, December 27. The film is presented in 2D and RealD™ 3D, and tickets go on sale on Friday, November 16, at www.FathomEvents.com and participating theater box offices. Jackson recorded a special introduction to the film — which he has called his most personal — offering his perspective on why the film is important for audiences, who have never experienced WWI footage as anything but grainy black and white … and silent. In “They Shall Not Grow Old,” Jackson opens a window to the past in a way that has never been seen or heard before, noting, “Restoration is a humanizing process.” The screening will be immediately followed by special content offering firsthand insights into what went into this groundbreaking feat of research, filmmaking and storytelling.